Following the release of the Game Boy Advance title Harvest Moon: Friends of Mineral Town on the North American Wii U Virtual Console, as well as Car Battler Joe, Natsume has announced Pocky & Rocky with Becky is locked in for an October release in both North America and Europe. 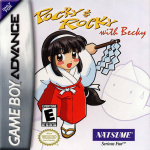 The action adventure shooter for Game Boy Advance is the third game published under the Pocky & Rocky title, and was originally released in Japan in 2001 as Kiki Kaikai Advance. In Pocky & Rocky with Becky, players must select from one of three characters, each with their own special attacks, and embark on a quest across seven stages to defeat an evil Hydra Dragon and a army of mythical creatures. In addition to this announcement, Natsume has also revealed it is planning to release more Game Boy Advance Virtual Console titles in the near future, including the popular Medabots game series. Let us know in the comments if you would be interested in playing Pocky & Rocky with Becky when it arrives on the Wii U eShop, or even the Medabots titles in the near future. Never was interested in this series. I'm just waiting for Natsume to put up the Medabots games so I can buy them already. Perhaps if they instead released the SNES ones I will buy them, because local coop goodness. I love the Pocky and Rocky games! I'd love them on the 3DS VC even more! Kiki Kaikai Advance is the better title. Pocky & Rocky on SNES is a childhood classic of mine, I would get that for the sake of nostalgia, but I really don't have interest in any other titles in the series. Let's hope this release means we get the SNES games, especially as Pocky & Rocky 2 is hard to track down and super expensive. I've never played any of the Pocky & Rocky games, but I am interested in trying it out. I may purchase this on release, or wait until a little while afterwards. I'll have to take into consideration on whether I should play it on my own straight away or save it up and play it with my brother for our YouTube channel at some later date. It is certainly a game I'm wanting to purchase and play at some point though. Speaking of Natsume, has any more info on Harvest Moon: Seeds of Memories popped up as of late? Oh wow I had that game on PCEngine. Is Natsume taking on all the VC releases now? It seems like it. I remember seeing this game in ebgames when I was a kid. I always regretted not picking it up but now I have the chance to get it again! I have always loved Pocky and Rocky for the snes but felt like the secong one on snes just wasn't as fun. I was hoping for the SNES version. The GBA version does look fun. Finaly. many childhood memories from this. This is good, and it's a start, but I'd still love to see the SNES version too. I've been wanting to play the Pocky & Rocky games for a long time and now it seems I have the perfect opportunity. I hope they bring the SNES game on the VC as well in the future. My interest in the game is kind of low. I have heard good things about the Medabots series though, so I wouldn't mind seeing those games show up on the eShop. I'll need to see Nintendo Life's review before I get too excited though. WHERE ARE THE 2 SNES VERSIONS?? Never heard of these games. Anything to get the 3DS releases localized! Wierd that we're not getting the SNES version but I'm still looking forward to playing this. 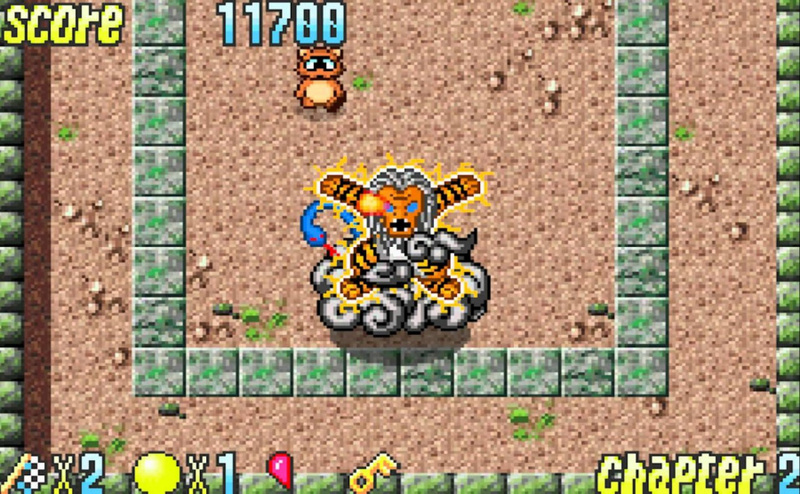 The original Pocky & Rocky is an awesome game. My dad ended up getting it for me and my brothers randomly one night and we thought, "okay, this looks weird!" As kids the only other thing we wanted was the ability to both pick Rocky since he had slightly better attacks. Sweet, Medabots! Never played the games, but loved the anime, so I would give these a spin. Natsume's Pocky & Rocky (SNES) - Awesome!!! Natsume's Pocky & Rocky 2 (SNES) - Almost as awesome, but still awesome!! Altron's Pocky & Rocky with Becky published by Natsume (GBA) - Crap, crap, crap, crap, crap, crap, crap, crap, crappity crap, crap, crap, crappity crap CRAP! Avoid the GBA game, but play the SNES games instead (and if you own an SNES console, start saving money for them, unless you've already played them). You're welcome. I love the first two Pocky and Rocky games. They were very cute and quirky and pretty challenging. Never knew there was a third. It's not the same as Harvest Moon. It's top down like Zelda, and whatever characters you choose have different modes of attack. Like Rocky can swing with his tail to bat away enemies, Little Ninja can open locks and shoot throwing stars etc. I wanted to play that game ever since its release, but never saw it for sale anywhere and I lived near a whole bunch of game stores. I wonder when these VC games will come to 3DS. Wii U is defunct by now, and they're ignoring the fact there is a technically more powerful 3DS available so hardware could not be the excuse anymore. SNES is kinda acceptable, but GBA on Wii U is a joke. Oh, my god, I love Pocky & Rocky! But, um... who the heck is Becky? And, oh. It's a GBA game, not the original. Judging from the comments, it's not nearly as good as the original. Hmm. @Genesaur Specifically speaking, Becky is Pocky's apprentice, but in the game she is an exact palette swap of Pocky.